Okaaspain, tienda online de sandalias tipo náutico con puntera y talonera y velcro para niños. 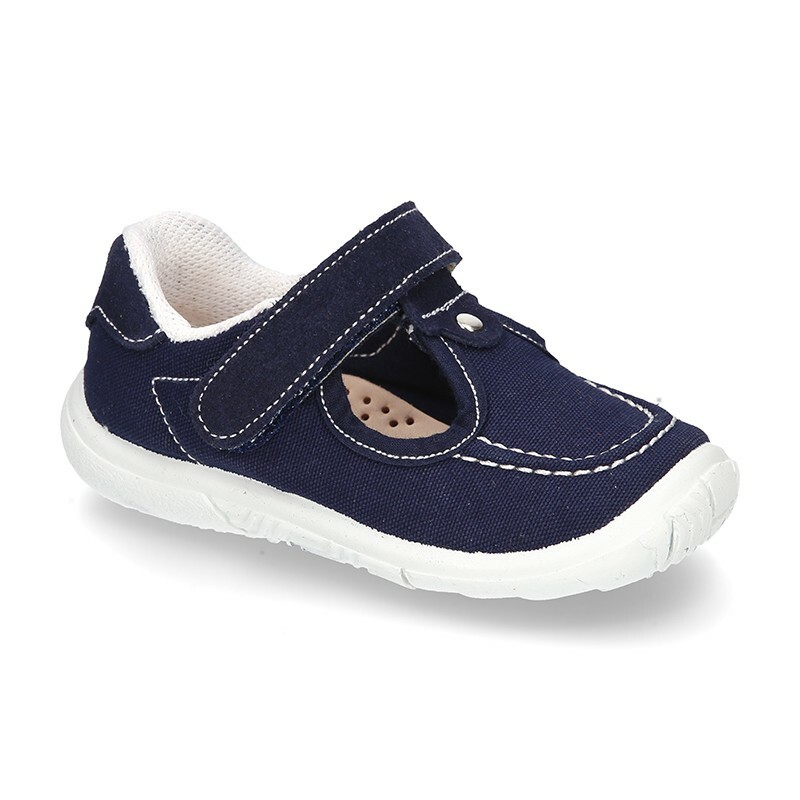 > First Steps>Sandals>New combined sandal shoes BOAT SHOES style with velcro strap, toe cap and counter. 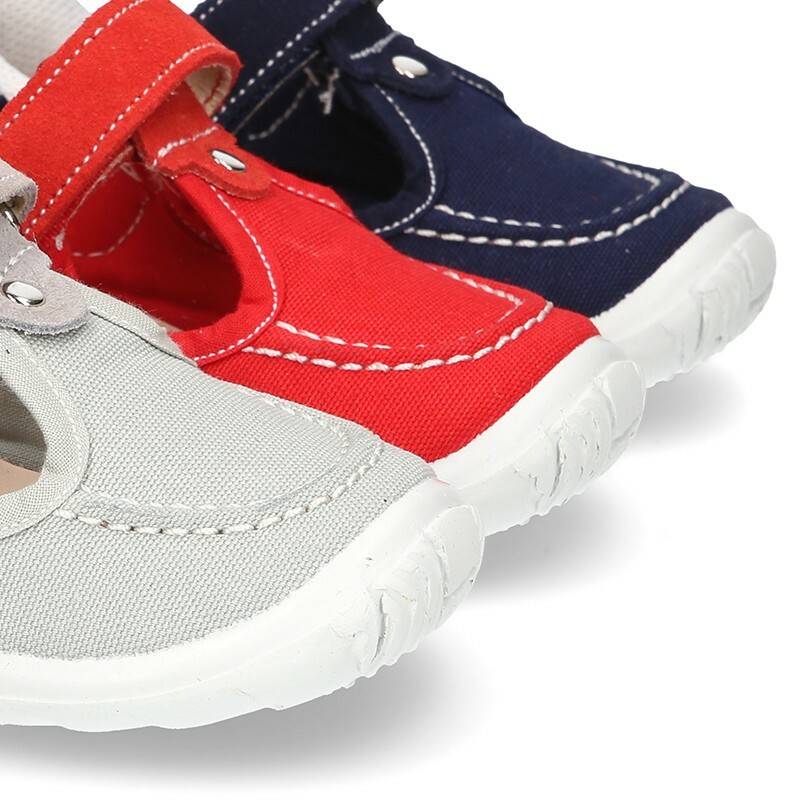 New combined sandal shoes BOAT SHOES style with velcro strap, toe cap and counter. 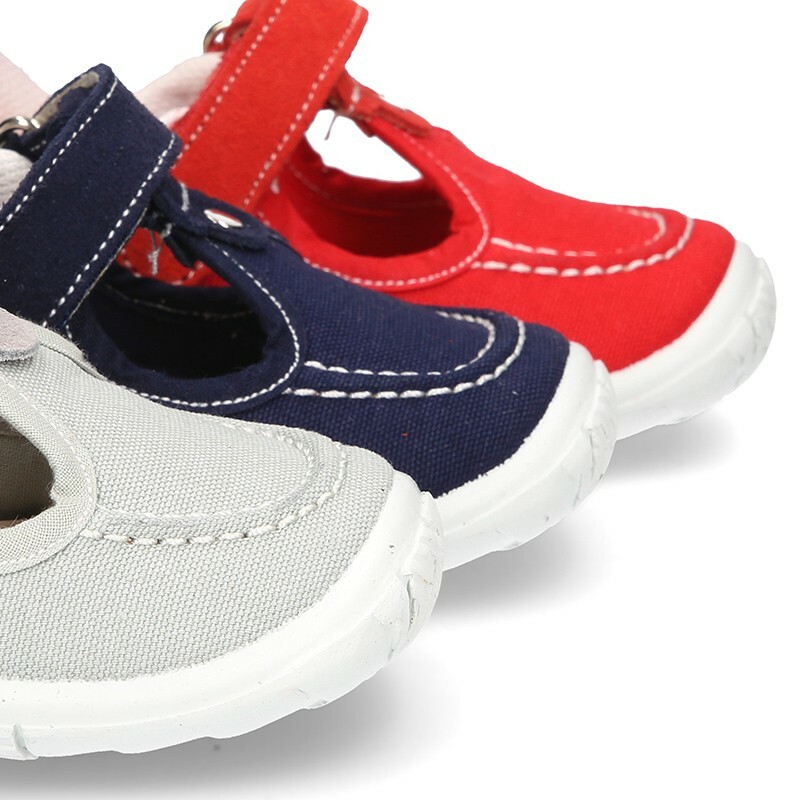 New combined sandal shoes BOAT SHOES style with toe cap, counter and velcro strap closure for kids. 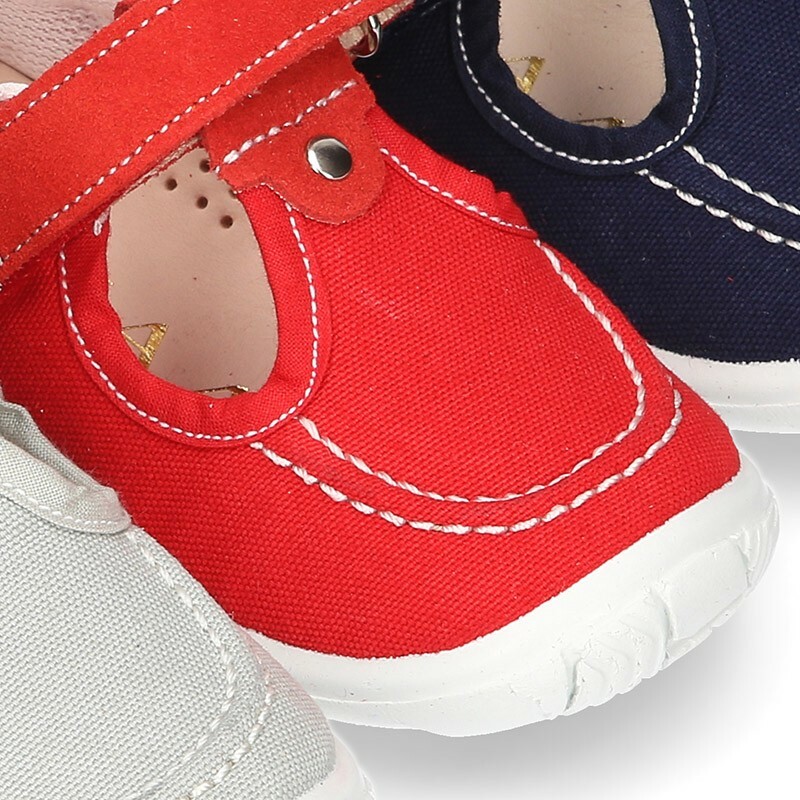 More info about New combined sandal shoes BOAT SHOES style with velcro strap, toe cap and counter. 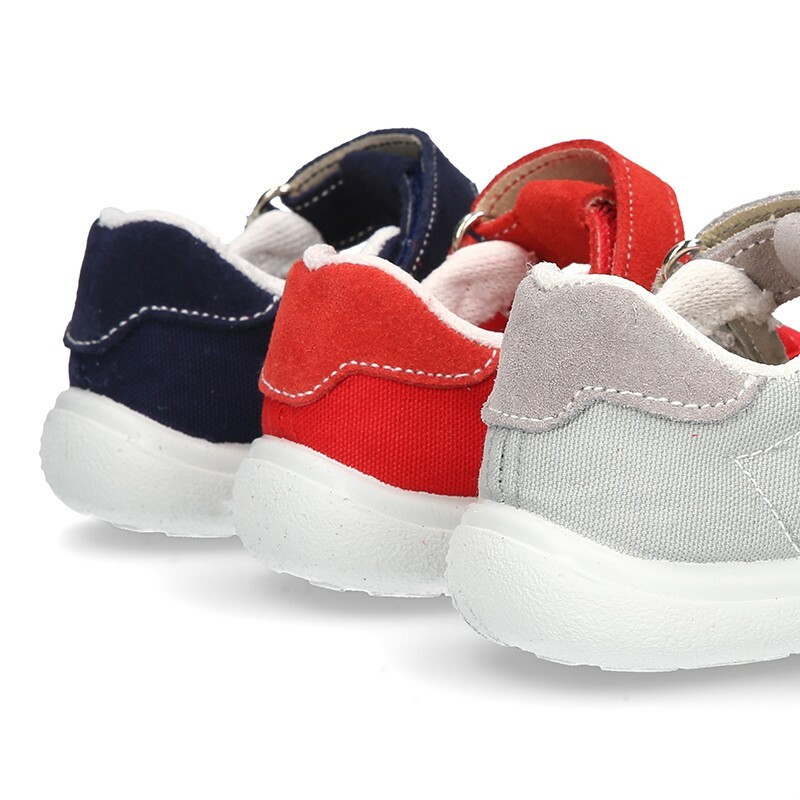 New combined Sandal shoes BOAT SHOES style in cotton canvas and suede leather with toe cap, counter and velcro strap closure for kids. 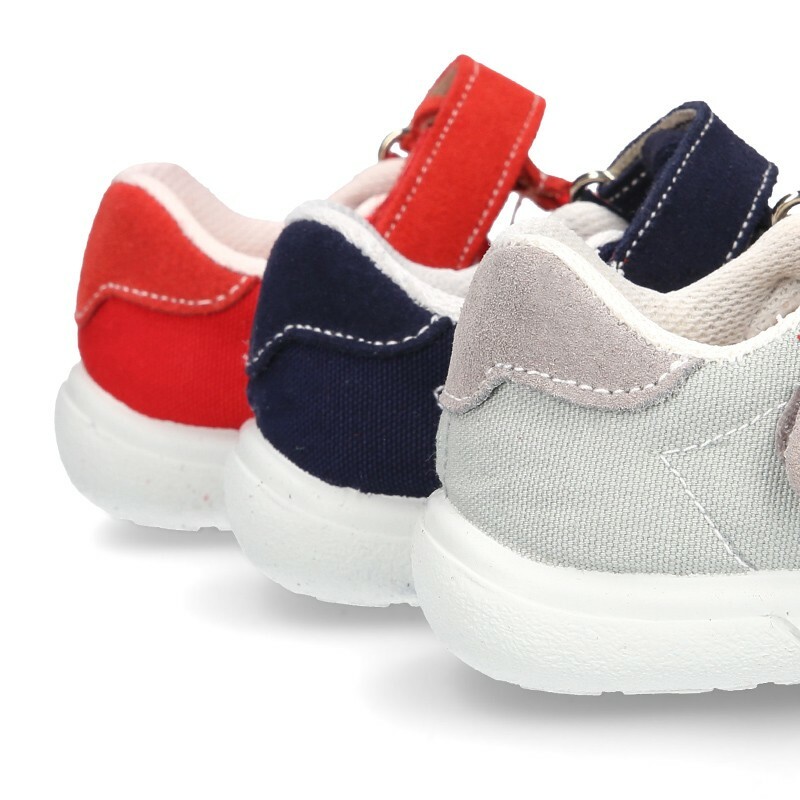 Made up of 100% cotton canvas combined with suede leather in front and high quality finishes. Mix and match with all their garments this spring-summer day a day basis. It´s a new model totally renovated and updated of the classic one with boat shoes style. With toe cap and counter for a better comfort. 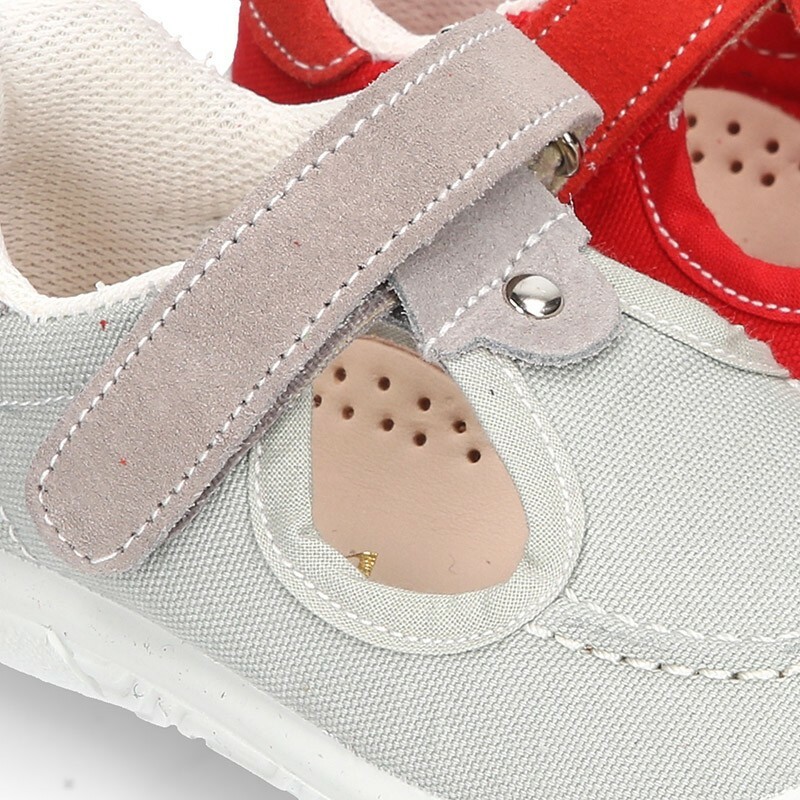 With velcro strap closure for a better adaptability and comfort. 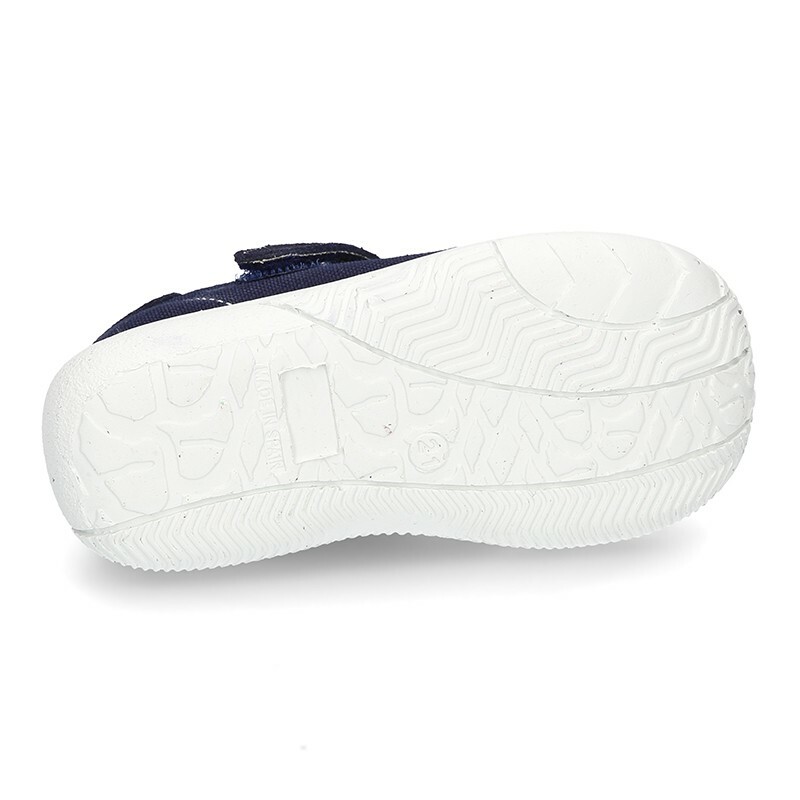 Fully lined in Cotton canvas and padded footbed in 100% leather with anatomical footbed for a good perspiration of their feet, and removal for a better cleaning. 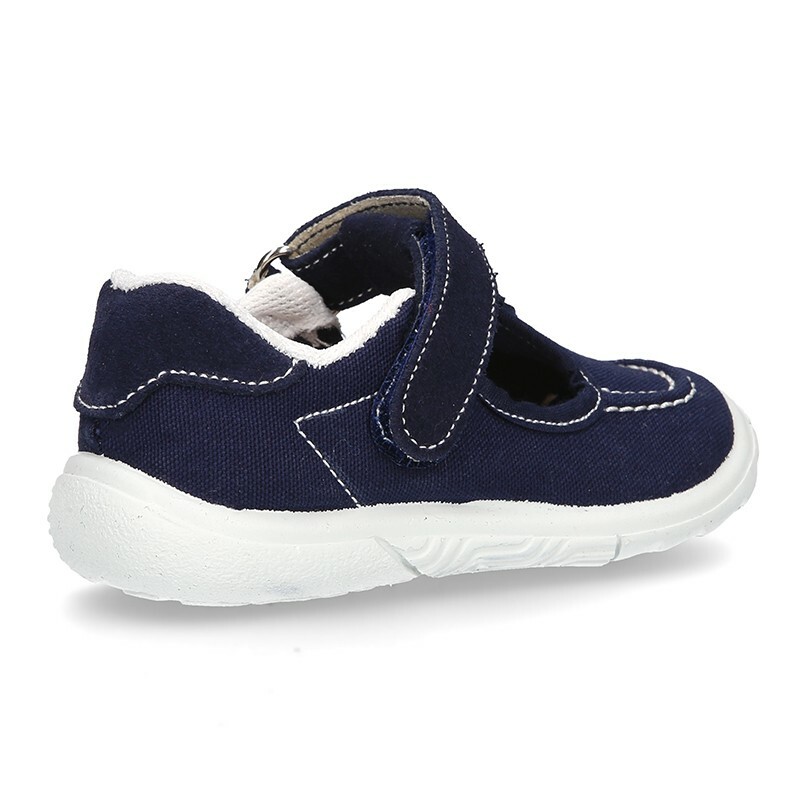 Non slip ergonomic soles and totally flexible in order then can walk without any problems. SIZING REGULAR. Available in 3 colors: Sizes range: from 18 Euro size up to 32 Euro size. 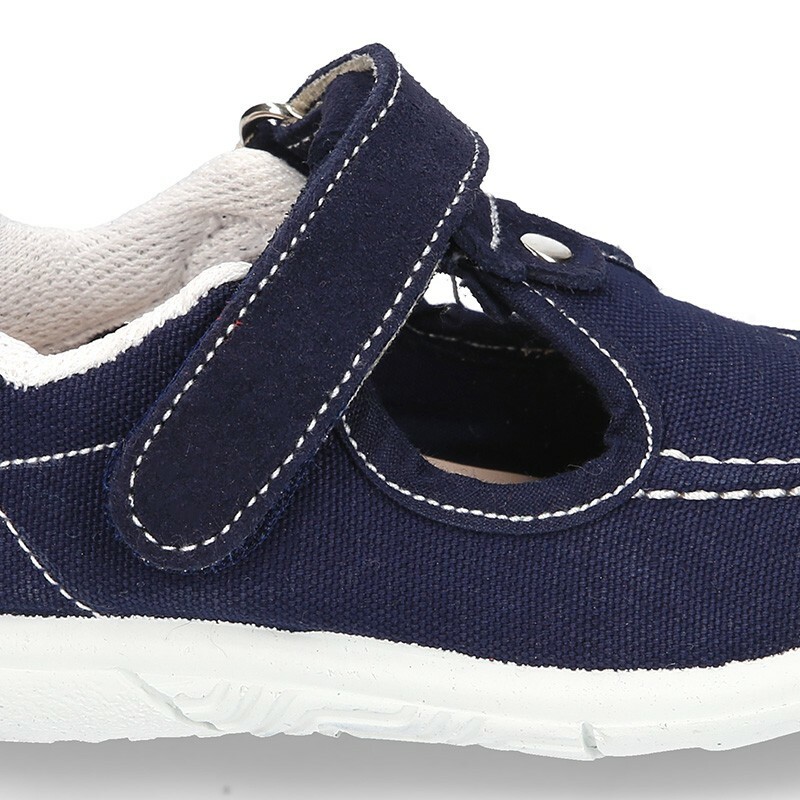 100% washable, we recommend to wash in cold water and to remove the insole before wash.
Data sheet about New combined sandal shoes BOAT SHOES style with velcro strap, toe cap and counter.